(SPOT.ph) Whether it’s for breakfast, lunch, or dinner, rice is always part of every meal—at least in the Philippines. A staple in every household, it pairs perfectly with savory-rich dishes, plus it’s even used for dessert. And as much as we want to avoid it sometimes (keyword: sometimes), we just can’t stay away from it because it’s that good. Rice bowls are an all-in-one meal that you can have whatever time of the day, every day. It’s complete with proteins and, of course, this pillow-soft grain. 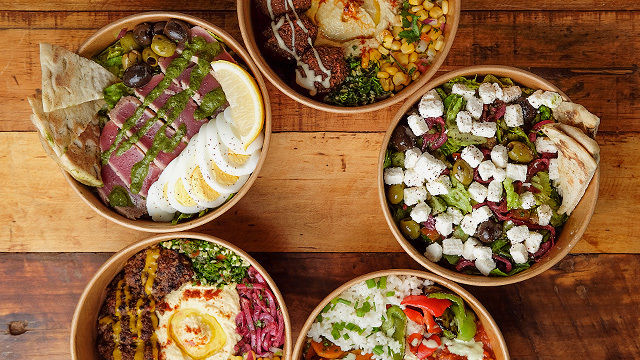 We’ve gathered a list of places that offer great rice bowls in the Metro, so you can do some serious carbo-loading. Tempura is one of the most popular Japanese dishes around and Tenya Tempura Tendon does a pretty impressive take of it. In fact, their ebi tempura ranked fifth on our Top 10 Ebi Tempura in Manila list! You can’t go wrong with their tendon sets, with a variety of tempura over piping-hot Japanese rice, drizzled with their signature dontare sauce, and served in a big, shallow bowl. 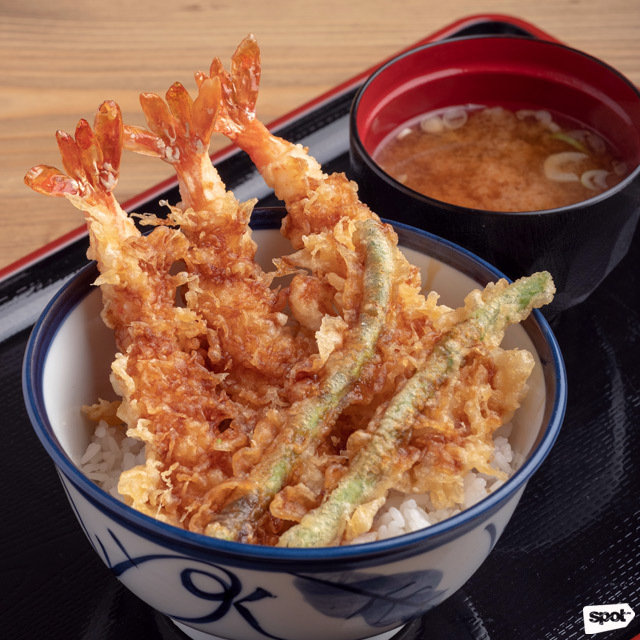 The All-Star Tendon (P325/ regular, P355/large) has black tiger prawn, squid, salmon, kani sticks, green beans, and mushrooms, all covered in a light and crispy tempura batter. See a list of Tenya Tempura Tendon branches. Eating healthily could now easily become a habit with all the available healthy places in the Metro. Heck, you can even make a quick stop for wholesome veggie-laden rice bowls, wraps, and pizzas at a bookstore! Medley is a grab-and-go concept at Fully Booked in Bonifacio High Street. You might be surprised at how the vegetarian Falafel Crunch (P249) rice bowl can be so tasty and filling: aside from the crunchy, deep-fried chickpea balls, it comes with fluffy Mediterranean rice, zesty and refreshing tabbouleh, corn, fried eggplants, beets, and a bright and lemony tahini sauce. 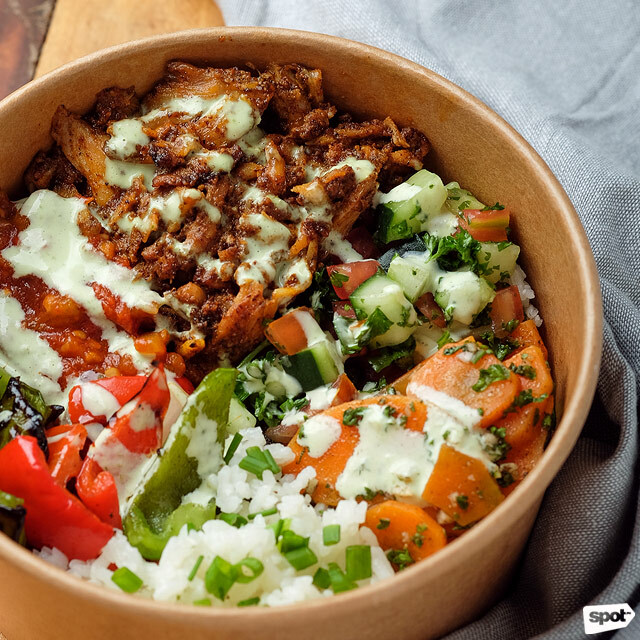 Other tasty rice-bowl combinations are the spicy Levantine Chicken, Beef Kofte, and Seared Tuna Sashimi. Medley is at G/F Fully Booked, Bonifacio High Street, Bonifacio Global City. Displayed in a glass box by the restaurant’s entrance, Honolulu Café’s famous egg tarts and pork buns are tempting enough to make you step inside this Hong Kong-style joint. A quick look at their menu would tell you that they’ve got a lot more in store besides these tasty pastries—they’ve got mouthwatering Cantonese rice toppings, too. 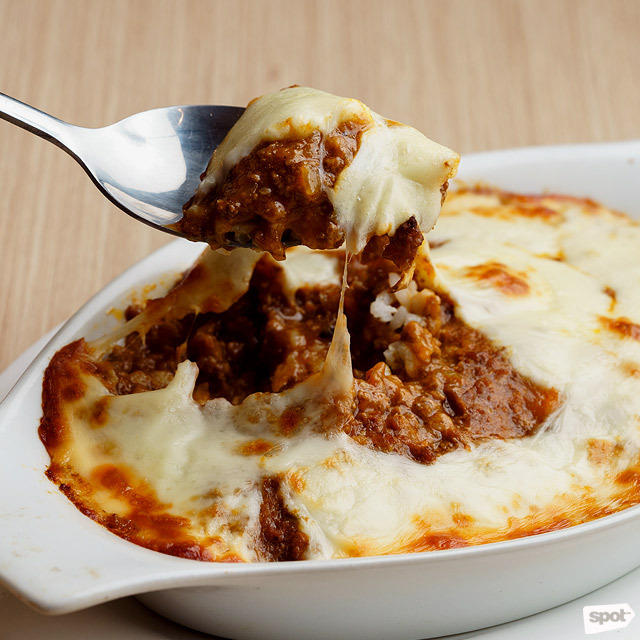 Though their Steamed Rice with Chicken and Mushroom Casserole (P198) is a no-fail choice, their Baked Rice with Minced Beef Bolognaise (P298) is worthy a try, too. 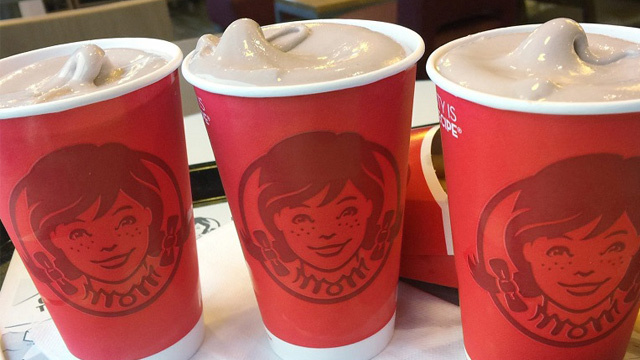 It’s made-to-order—give them around 20 minutes—but we guarantee it’s worth the wait. You’ll be mesmerized by the stringy melted cheese plopped on top of the beefy tomato-based sauce and white rice. It’ll remind you of your favorite baked macaroni—a sure hit with kids and kids-at-heart. Honolulu Café is at LG/F SM Aura Premier, 26th Street corner McKinley Parkway, Bonifacio Global City. There’s more than just matcha sweets and drinks at this modern Japanese café in BGC. Nomi Matcha also boasts tasty rice bowls with different protein options to choose from. Want something light but filling? Order the Salmon Aburi (P360), with torched salmon and assorted veggies like grilled asparagus, cucumber, and roasted carrots, plus a punchy ginger-miso dressing. If you’re feeling a bit adventurous and want to spice up your next lunchtime meal, go for F*ck Yeah, I’m Vegan (P360), which features mushrooms, cauliflower rice, seasonal greens, and Japanese soy dressing. 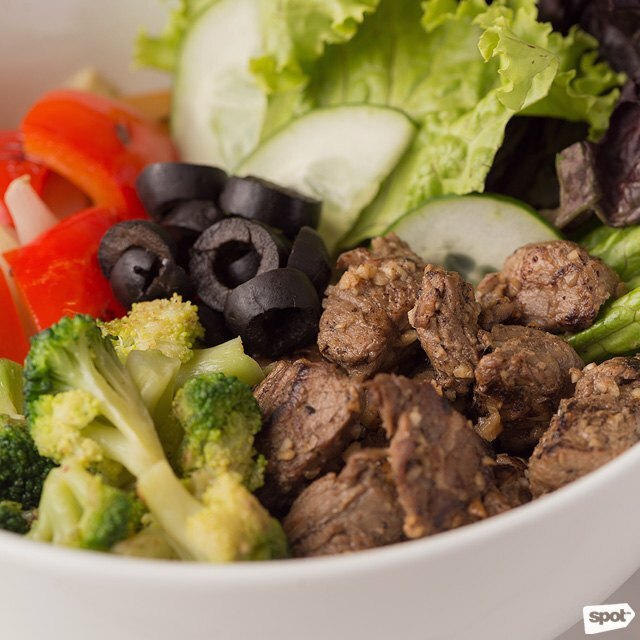 You can even customize your rice bowls through the Power Packed Bowls (P290 to P360), which lets you choose your protein and base, from white and brown rice to quinoa, cauliflower rice, or a salad. Nomi Matcha is at G/F W City Center, 30th Street corner 7th Avenue, Bonifacio Global City. You’ve probably been living under a rock if you didn’t know that this casual joint is open 24 hours every day. A popular restaurant for post-drinks grub—hence the name “Recovery Food”— they offer a wide array of rice bowls that could cure any hangover. The Lecheng Kawali (P195/regular, P285/full recovery) is a sure-fire hit with carnivores for its twice-cooked pork belly served on garlic rice, while Hey Jude’s Paksig (P165/regular, P260/full recovery), with bangus belly cooked in a native vinegar broth, is great for those looking for something light. See a list of Recovery Food branches. 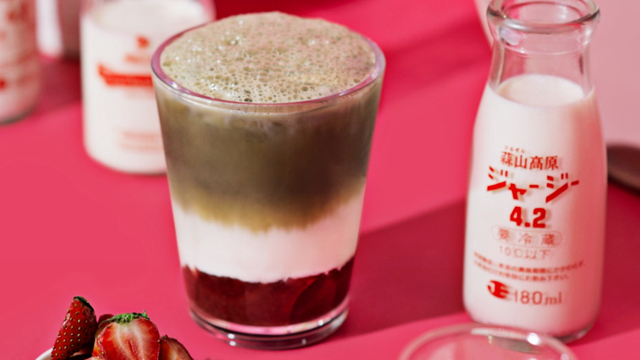 Sunnies Café might have a wide selection of pasta and all-day brunch meals, not to mention great milkshakes, but you might want to zero in on their rice bowls—it’s something they’ve become popular for, especially with the hungry lunch crowd. The Umami Surf and Turf Bowl (P295) will give you the best of both worlds with its pan-seared salmon and sous-vide hanger steak in unagi sauce combo. It’s served with scallion brown rice and homemade pickles for a tangy kick. They even have a Creamy Caramelized Spam Bowl (P190) in case you want a taste of home and are craving Spam. See a list of Sunnies Café branches. An offspring of Wildflour Café + Bakery, Little Flour Café is a reliable place for all-day brunch, coffee, and pastries. Unlike the former, this restaurant offers easy-to-eat rice bowls for people who are always on the go. 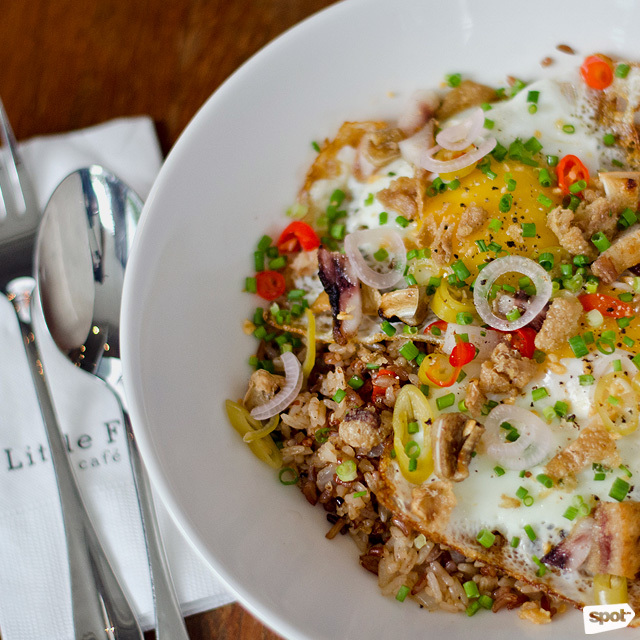 Sample their best-selling Filipino rice meals such as the Sisig Rice Bowl (P420), which has crispy sisig and a perfectly runny fried egg. Or, you can’t go wrong with the classic Beef Tapa (P440) with savory-sweet beef strips, fried rice, fried garlic bits, atchara, and fried egg. See a list of Little Flour Café braches. There aren’t a lot of Vietnamese restaurants in Greenbelt, so Propaganda Bistro is a welcome addition to the sprawling mall complex. Their fun and vibrant interiors complement their classic and similarly lively modern Vietnamese-food offerings, which include a lot of noodles, banh mi, and even rice bowls. 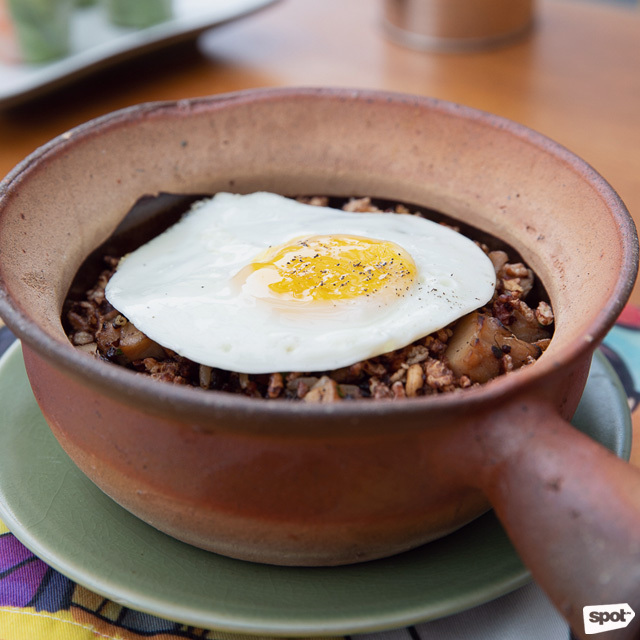 Find familiar herby flavors in their Crunchy Tri-Coloured Rice Bowl with BBQ Chicken and Fried Egg (P350), which features a charred smoky-sweet chicken and, well, a nice sunny-side-up egg. Propaganda Bistro is at 2/F Greenbelt 5, Ayala Center, Makati City. Ooma is the place to go to for bold, affordable, and modern Japanese food. Besides their crowd-favorite sushi rolls and Hanger Steak (P498), they’ve also got hefty and lip-smacking rice bowls that you could share with a friend (that is if you plan to, but we doubt it). 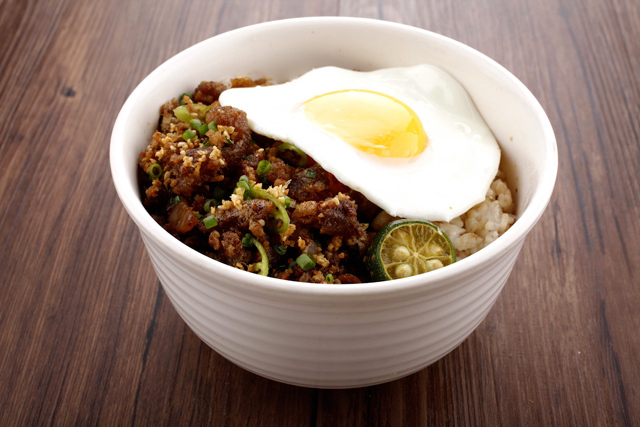 Their version of Gyudon (P299) uses fork-tender sous-vide beef short plate, which is served with fresh mushrooms, fried shallots, fresh egg, and their special house tare, all on a bed of steamed white rice—it’s a comforting bowl of savory and umami goodness. Their other donburi variants include house-marinated chicken and breaded slow-roasted pork belly. See a list of Ooma branches. 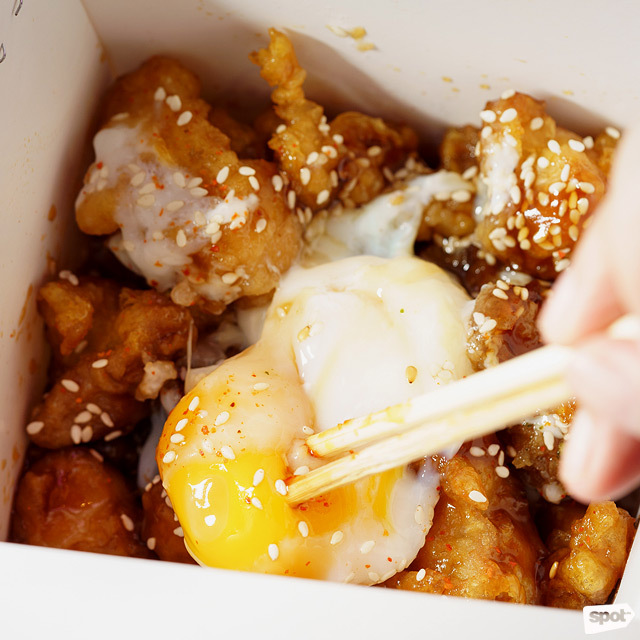 There’s no shortage of wallet-friendly lunch options in BGC and take-out counter BirdBox is proof of that. It’s hard to beat their affordable rice-box meals that start at just P149—create your own rice box and choose from a base of sticky white rice or French fries. You can then pick your preferred chicken dressing (Tebasaki, Yangnyeom, or Kare) and toppings, like furikake, Japanese chili powder, pickled cabbage, kimchi (+P10), and a gooey Onsen egg (+P20). Don’t have time to customize? Try any of their signature sets like the Tebasaki (P149), which combines rice and fried chicken with furikake and onsen egg. BirdBox is at 9th Avenue corner Lane P, Bonifacio High Street, Bonifacio Global City.